DNAFit is a UK-based at-home DNA testing provider launched in 2013 (although its LinkedIn profile says 2012) to transform the way we approach exercising and dieting. The world of fitness and nutrition is a complicated and fragmented one, so DNAFit aims to help its users cut through the clutter and change how they train and eat by understanding how their own DNA affects their response to changes in exercise and nutrition. Whether you are a complete beginner or a professional athlete, we recommend reading this comprehensive DNAFit review to learn how to use your DNA information to your best advantage on a daily basis. 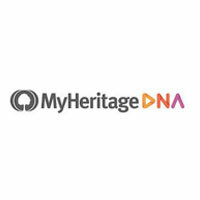 As we already mentioned, DNAFit is an at-home DNA testing provider. This means you will be able to collect your DNA sample in the privacy of your own home, mail it back to the processing lab, and simply wait for the results. Placing an order – The whole process starts when you decide to place your order on the official website. There are 4 DNA tests to choose from. Collecting your DNA sample – After DNAFit receives your order, a unique DNA testing kit will be sent to your home address. When you receive the kit, all you have to do is collect your DNA sample via a simple cotton swab. Mailing the sample back – After collecting your DNA sample and securing it within the provided container, you need to mail it back to the laboratory for further processing. Within the UK, it usually takes between 2 and 3 days for the sample to reach the lab. Receiving your results – Your final report will be generated within 10 days of receiving your sample. DNAFit will create an online portal for you where you can access your results in 3 ways. You can view the online interactive version of your results, download the PDF version of your report or inspect the simplified infographic diagram. In order to maximize your chances for a successful test, you should not eat, drink, chew gum, smoke, use mouthwash or brush your teeth for at least one hour prior to collecting your DNA sample. You should also make sure to swab your cheeks for a full minute and seal the cotton swabs securely in the container alongside the silica capsule. Note that you should not swab too aggressively since blood in your sample may lead to test failure. If you do fail the test for some reason, DNAFit will send you another test kit absolutely free of charge. Fitness Diet Pro (249.00£) – This test provides you with 4 fitness reports (power/endurance response, recovery profile, injury predisposition, and aerobic response), 7 nutrition reports (diet type recommendation, detoxication, carbs & fat response, vitamin & macronutrient need, lactose tolerance, coeliac predisposition, and salt, alcohol & caffeine sensitivity), a genotype guide, a genotype shopping list, and a 12-week recipe guide. Diet Professional (199.00£) – With this test, you get all 7 nutrition reports, a genotype shopping list, and a 12-week recipe guide. Diet Premium (149.00£) – This test provides you with 3 nutrition reports (diet type recommendation, carbs & fat recommendation, and lactose tolerance), a genotype shopping list, and a 12-week recipe guide. Fitness Premium (149.00£) – With this test, you get all 4 fitness reports and a genotype guide. DNAFit tests utilize genotyping rather than sequencing. In other words, the company determines which genetic variants you possess and how they affect your overall response to exercise and nutrition. DNAFit tests are not able to determine your metabolic rate with any meaningful level of accuracy due to the wide range of included variables, such as caloric intake, activity levels, genetics, body weight, and many more. They are also not designed as a quick weight loss tool. They will reveal vital information about your response to dieting and training and illuminate a quicker path to losing weight, but how you will use this insight, however, is entirely up to you. DNAFit conducts its own research into applying genetic information to the improvement of nutrition and training strategies. In 2015, DNAFit published a revolutionary study in “Biology of Sport,” which proved that DNAFit’s DNA-matched training provided 3 times the results of a mismatched training. Your DNAFit results are strictly confidential and never shared with any third parties without your permission. Your DNA sample and results are stored under a serial ID, not your name, so your report will be completely anonymous. Once your final report is generated, your DNA is destroyed and you can even request that your data be deleted from the database. DNAFit is registered with the Data Protection Commissioner in the UK and keeps the privacy of its users above everything else. In light of this fact, your personal data will never be sold or leased to any third parties without your prior consent. 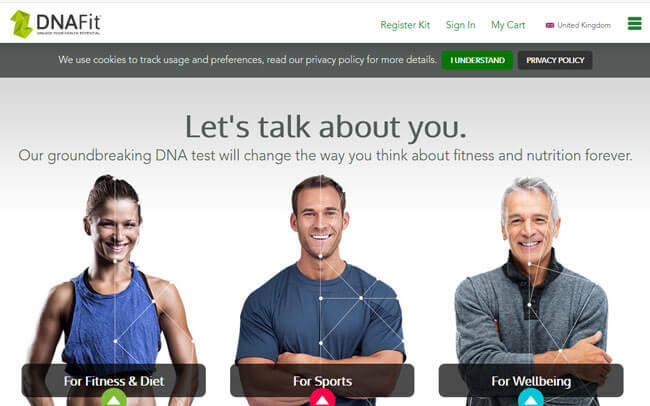 DNAFit receives orders through its online store or over the phone. 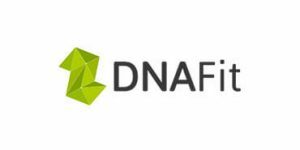 As we already mentioned in our DNAFit review, the company is based in the UK but ships worldwide, so you can order your DNAFit test regardless of your current location. You can order as many testing kits as you want in whichever packages you choose. DNAFit offers free shipping in the UK with Royal Mail. It uses FedEx for international shipping and the specific shipping costs vary depending on location. If you change your mind and no longer wish to use your kit, DNAFit will provide you with a refund, minus a 25£ administration fee. Note that you can only get a refund if DNAFit has not sent your DNA sample to the laboratory. If the genotyping process has already begun, you will not be entitled to a refund. DNAFit is a company that revolutionizes our approach to nutrition and training by complementing these fields with information extracted directly from our DNA. It bases its scientific methods on hundreds of different studies, including the one performed by its staff. In other words, everything DNAFit does has a solid foundation in modern science. Having said that, we need to be aware of the general capabilities and limitations of its tests in order to set realistic expectations. We hope our detailed DNAFit review did just that by outlining the overall reach of the service. Its tests can do a lot of things for you and provide you with essential information for optimal dieting and exercise results. Whether you will shed those excess pounds and get your ideal figure along the way, however, is entirely up to you and your determination to move toward a better and healthier lifestyle. Our ratings are the result of an objective and independent evaluation of DNAFit , generating the final rating that reflects the overall quality of the company. Ratings may change as the service changes. DNAFit user rating based on 3 user reviews. I expected more from these tests considering the price but the info I did get proved to be pretty useful and helped me a lot with defining my perfect diet and training schedule. Apart from giving me some useful info, dnafit also motivated me to be the better version of myself. It showed me that I got it in my dna to be better and all I had to do is put some extra effort into it. We found 0 verified DNAFit discounts for April, 2019.